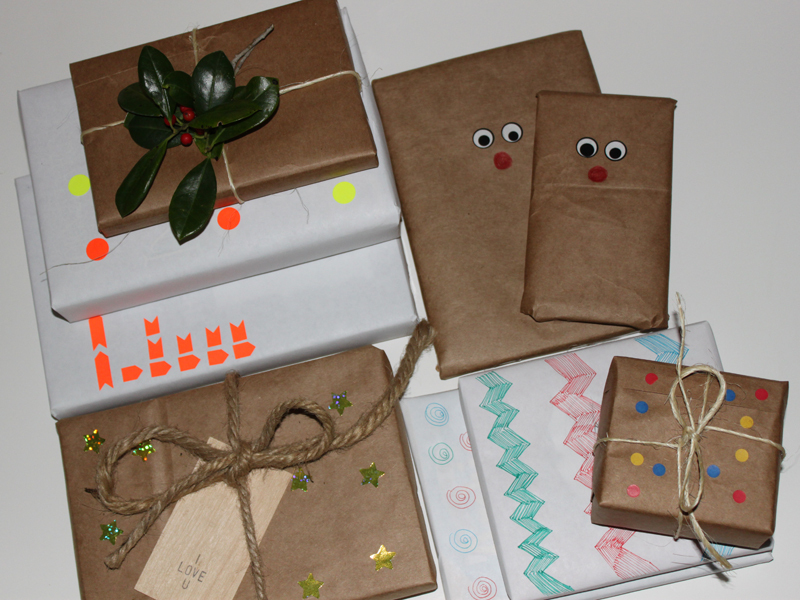 Wrap the gift in recycled brown kraft paper or a brown paper bag. Tie in twine and adorn with a fresh sprig of greenery from your yard! 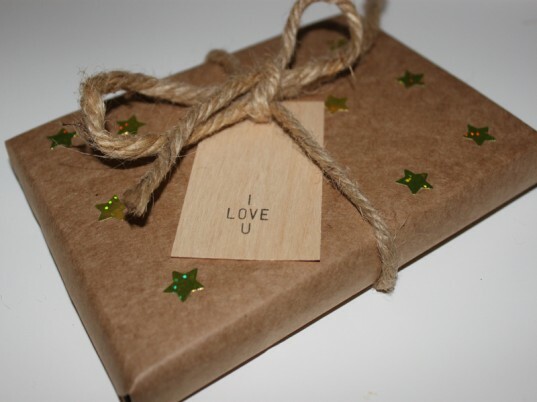 Wrap the gift in recycled brown kraft paper or a brown paper bag. Tie in twine and adorn with dot stickers from your craft closet or office supplies. 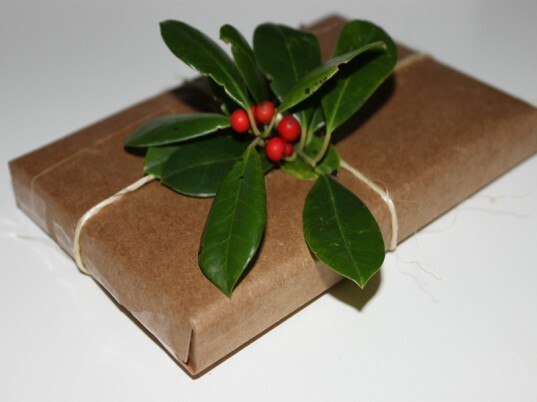 Wrap the gift in recycled brown kraft paper or a brown paper bag. Tie with woven rope into a bow and adorn with a wooden gift tag and gold star stickers from your craft closet. 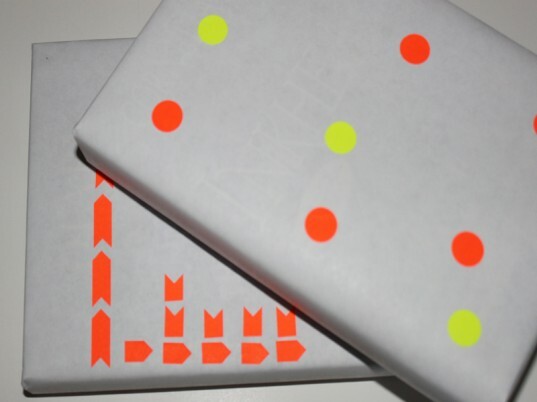 Wrap the gift in recycled white kraft paper and adorn with neon dot or chevron inspired stickers in a funky pattern. 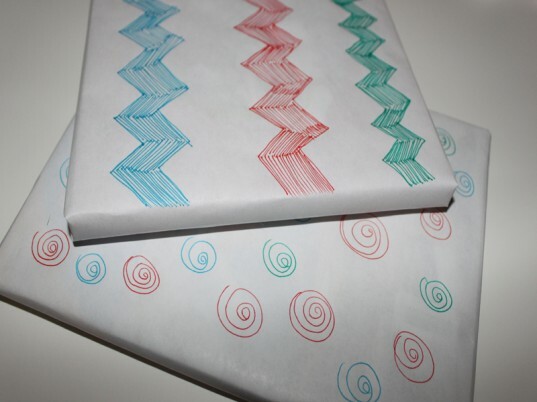 Wrap the gift in recycled white kraft paper and use markers to draw chevron or dot inspired designs on the top of the gift. 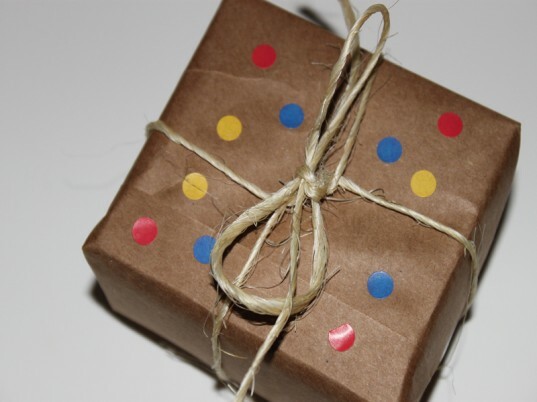 Wrap the gift in recycled brown kraft paper or a brown paper bag. 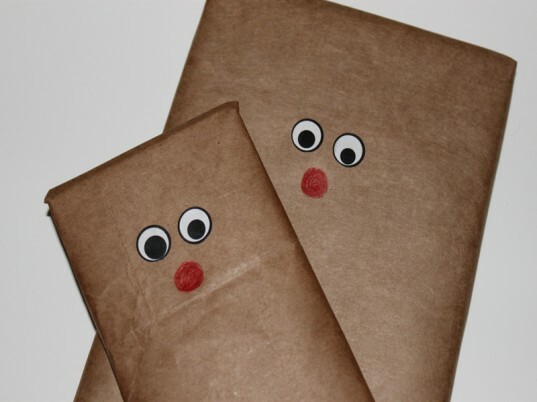 Adorn with either googly eyes or eye stickers and affix a red nose made from marker, a red button or a red pom-pom. 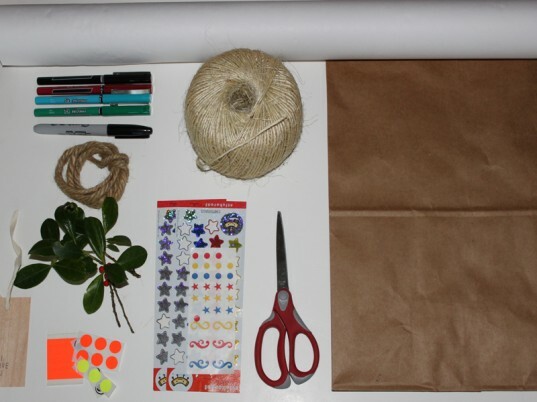 Wrap the gift in recycled brown kraft paper or a brown paper bag. Tie with woven rope into a bow and adore with a wooden gift tag and gold star stickers from your craft closet.